So when I was invited to return for a “girls trip” to film an episode of The Great Australian Doorstep (to be aired 27 January 2018), accompanied by Northern Territory Tourism, it sounded like my dream job, made just specifically for me. The first thing that struck me was the time of year. 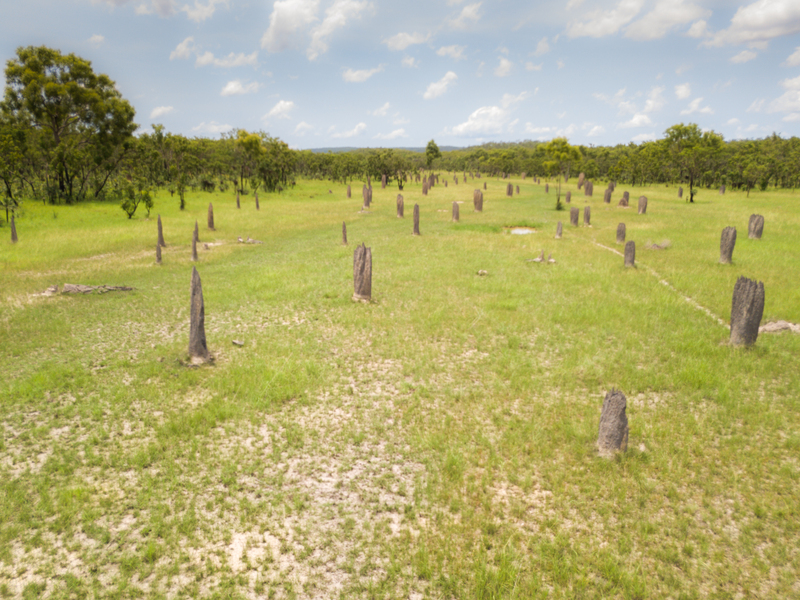 It is common knowledge that the summer months are the “wet season” in the northern part of Australia. It’s typically very hot, humid and lots of rain with many of the outback roads closed off and inaccessible. For this reason, the winter months are a much more popular time to travel. Even prior to travelling to Darwin, the forecast was for thunderstorms the whole time we were up there. I have to confess, I was a little concerned. Yet my fears were completely unfounded. Apart from one late afternoon brief appearance of some lightening, we didn’t see a drop of rain and each day was beautiful blue skies. 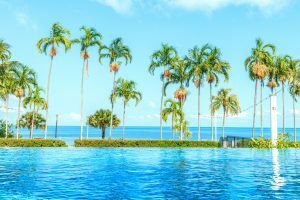 In fact, I think as less people travel to Darwin at this time of year, it was actually ideal to have some of the most popular tourist destinations almost to ourselves with only a few other travellers. 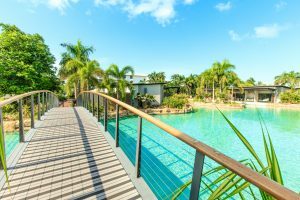 Another bonus is that prices are considerably reduced as its considered “off peak” season” so there are great value holidays in the Northern Territory at this time of year. I think this is my new favorite time to visit the top end. Yes the weather was hot, humidity was high, but nothing a dip in in one of the local watering holes cant fix. Filming to a television program was similar to a photography famil. Our itinerary was jam packed with hardly a moment to spare and of course I insisted that we shoot sunrise each day so sleep was pretty much a brief luxury. We landed in Darwin and went straight to the Aboriginal Bush Traders on the Esplanade in Darwin City. It’s located in Lyons Cottage, which is old stone building built in 1925. Filled with authentic Indigenous products available to purchase, we spent quite a while meandering through the rooms looking at the incredible pieces from Aboriginal art to Didgeridoos. 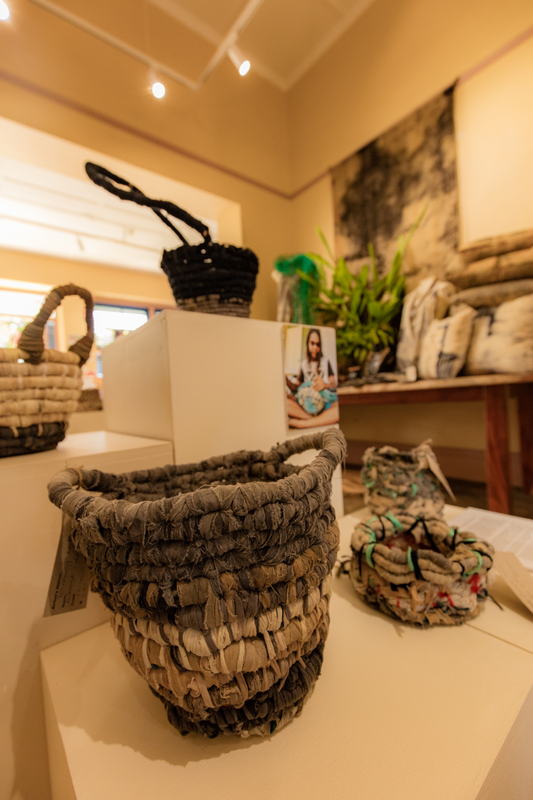 Their latest product is hand woven baskets made from discarded fishing nets known as “ghost gear” to prevent them becoming land fill, by hand dying and weaving the nets with recycled fabrics. It’s incredible with the amount of waste that we have in Western Society, these locals are looking at every opportunity to protect the environment and use every available resource possible. 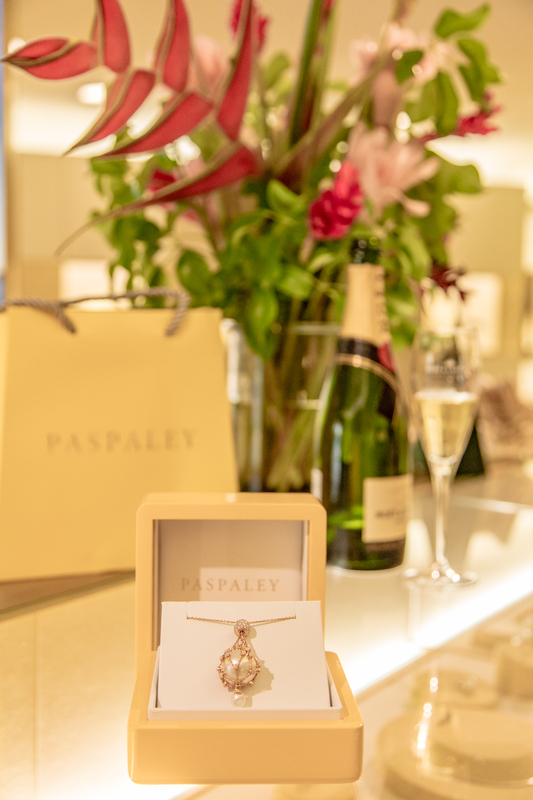 Next stop was like going from earthy native products to pure luxury at Paspaley Pearls. This is a family owned company founded in 1935 who have been the pioneers of the Australian South Seas pearling industry. Their jewelry is world renowned and exquisite. In the cool air conditioning of their beautiful showroom in the Mall in Darwin Town Centre, we were served sparkling mineral water and Moet champagne whilst being enchanted with stories from the lovely Vanessa and her mesmerizing French accent. My absolute favorite piece (if you could chose just one), was the Lavalier necklace which is a (GIANT) Paspaley Pearl encased in a gold mesh net inspired by the fishing nets used to harvest the pearls. It is just divine. 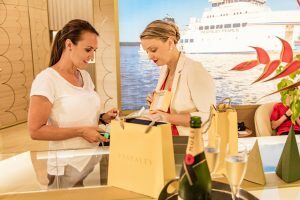 The price tag – not so much so may have to leave that one for another visit. In any case, the store is well worth a visit whilst in Darwin. 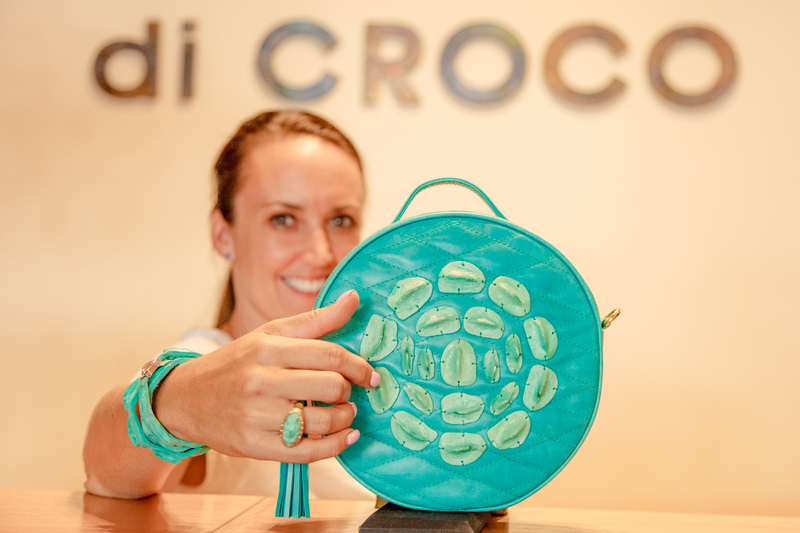 A short stroll down the mall is another Darwin local and visitor favorite, di Croco – the name meaning “Of Crocodile” from the Italian word “di” and obviously Croco – shortened. If you are interested in any crocodile products, this shop has it all, from bags, to belts, earrings and more. Owner and designer Heather, puts so much thought and passion into each and every design, it’s interesting hearing her explain the thought process behind each piece. After a full day travelling and shopping, a cool hotel room and a dip in the pool is a welcome wind down. 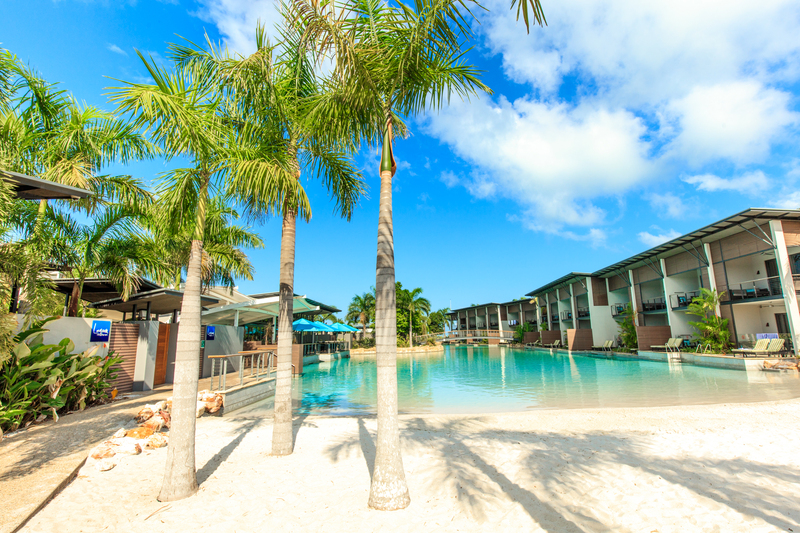 There is a great selection of hotels in Darwin that cater for pretty much any budget. If you are after something a bit special, Sky City Casino and Hotel in Darwin is my favorite and they offer great off peak rates. Having undertaken a large scale renovation in recent years, it’s well worth the indulgence. Boasting rooms that step out onto your own private deck with access to the oasis that is the new lagoon pool, this hotel is pure indulgence. 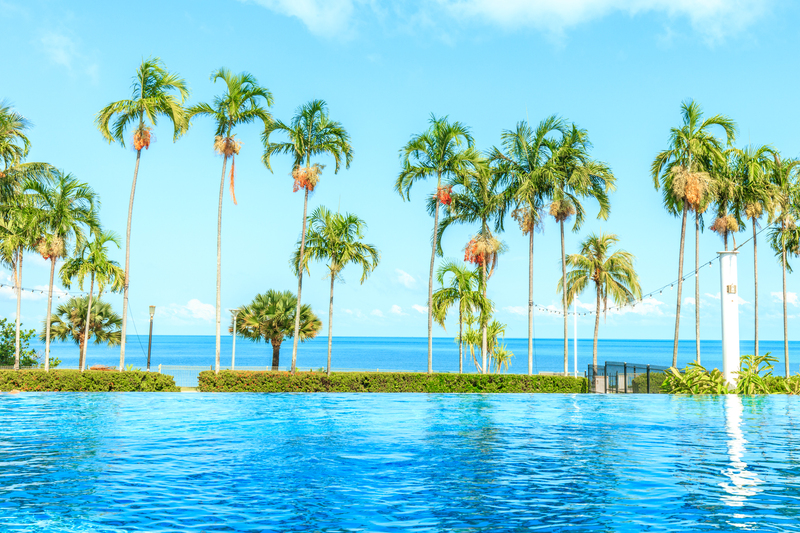 The hotel also has a stunning infinity pool facing onto Mindil Beach, which is a perfect place for a cocktail and watching the sun go down. The location of this hotel just outside town, close to Cullen Bay and next to the famous Mindil markets is also a bonus. A quick dip in the lagoon pool, a nice cool shower and we continued on our whirlwind tour of the Top End. Next stop was dinner at “Frying Nemo”. Love the great play on words with this place. Owner Eddy said there are mixed reactions to the name. Some, like me, love it and think it’s a great fun name, but a few (often children) are concerned at the connotation of actually “frying nemo” Although Eddy assures all guests, they are yet to actually catch Nemo so for the time being, he’s safe from the frying pan! The reason we came to this particular venue to eat – other than its great “Darwin” style location of picnic tables on a marina, was it has recently been voted “Australia’s Best Fish and Chip Shop” by the National Seafood Industry. You would think they would know what they are talking about but I’m always dubious with accolades like this. I mean, who actually is judging and do they really know a good fish and chip when they see one or are they just stuffy suit types going on emotion. My pet hate is shoestring fries so anywhere that serves these as “chips” is an instant no from me. Anyway, far be it for me to judge without trying so off we went. Staring with a crisp cold white wine while waiting for our dinner, watching to sun go down and the skies change color with plenty of fish life in the marina below, we were certainly off to a good start. Cue dinner being served. Even just looking at the “plate” (in a cardboard box – kinda cool) that arrived in front of me, I knew this was going to be good. How did I know? You ask. Well firstly, the chips were rustic thick cut and they looked super crispy and the fish thick and juicy. After a full on day with not a great amount of food, this went down without even touching the sides. Can I confess that we also tried the salad, calamari, fish burger and coconut prawns (well we had to give a full review) and everything was just divine. There was even one person in our party who doesn’t eat seafood – wont mention names cause I’m still getting over the fact that anyone doesn’t like seafood. Not greasy at all, very fresh tasting and best of all, the prices were really reasonable between $10-$15 for a piece of fish. So if you’re looking for a fun night out in Darwin, super casual and without having to re-mortgage your house, I would highly recommend Frying Nemo. No trip to Darwin is complete without venturing out of the city to one of the many spectacular outback locations that surround Darwin. With Kakadu National Park, Litchfield National Park and the Katherine Gorge all a short distance out of Darwin, these are the epitome of Australia, its past history and culture. Sure, in the city there are plenty of great exhibitions and stores that highlight the indigenous aspects of Australian life, but once you get out and experience these things first hand in “the bush” as well as the true natural wonders surrounding the area, you are really missing out on some of the most incredible visual and emotional experiences in the world. 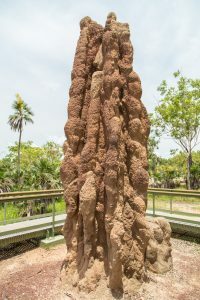 From Darwin, as with any tourist destination, there are many different tour operators that will take you on short or longer excursions to the bush. 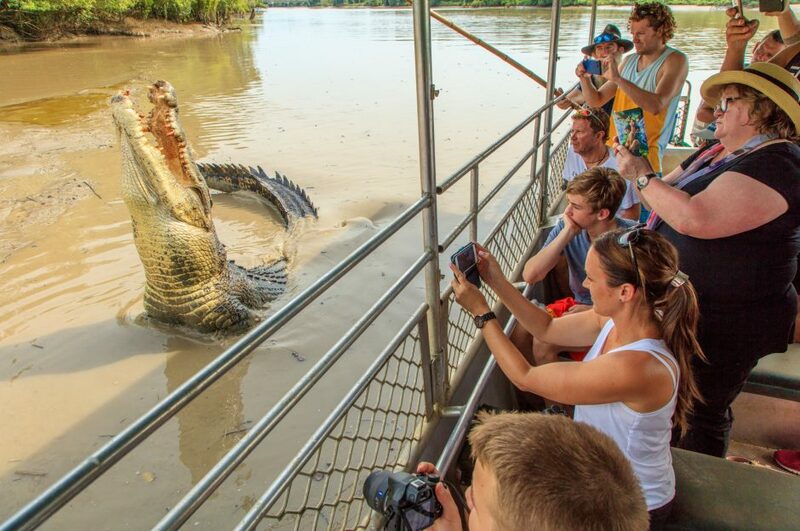 The reason that I particularly liked the “Litchfield Park, Jumping Crocs tour” was that it covered off quite a few experiences in one full day adventure and was really reasonably priced. The day started early with a hotel pick up at 7am, along with around 15 other keen tourists. 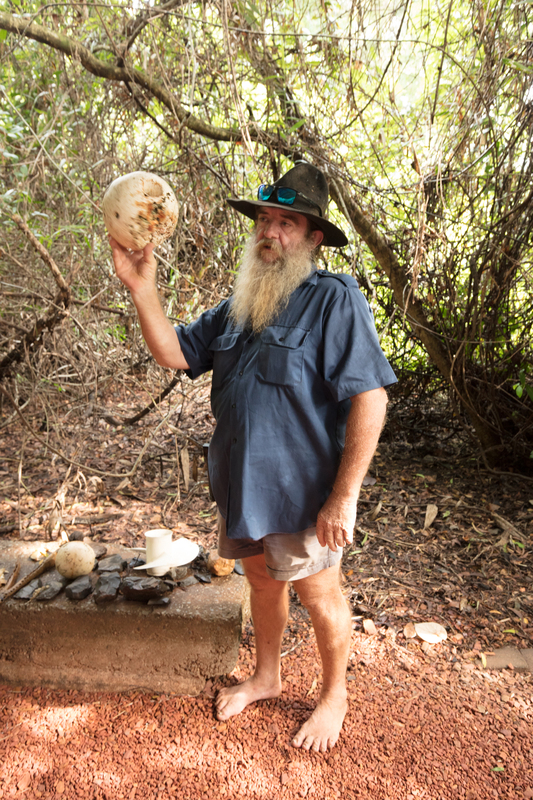 On the drive out to Adelaide River, our tour guide Rob, kept a running commentary of interesting facts and pieces of history about Darwin and the indigenous people. There were so many stories that it made the hour-long bus ride fly by. First stop is the Humpty Doo Hotel, an iconic stop on the outback highway. I’m yet to actually work out what it is famous for, other than being in a few songs in the past and star of a few outback tales (whether true or not no one actually knows), but for whatever the reason, people flock here for a cold drink at the bar and a photo outside, so I guess, when in Rome! Next is the Adelaide River and the Jumping crocs tour. Led by long time local resident and “Croc Man” Pat, the perfect tour guide. He is passionate about educating visitors about crocodiles, their habits and awareness. Decked in bare feet (apparently he has never owned shoes), armed with a gun and knife (“that’s not a knife” kind of knife), both for just in case of course, Pat leads you down to the river, two at a time to be safe, onto a small tin boat. He is constantly watching and warning us. There are crocodiles everywhere he assures us, but you just can’t see them. We pull up on a bank and it’s not long before Pat has 6 meter crocs jumping out of the water inches from our faces. 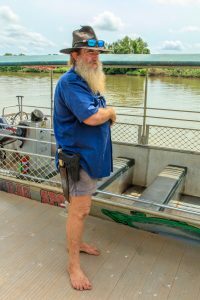 I never once felt unsafe during this 2 hour long tour, which also included an amazing impromptu bird show along the river banks, but I certainly left the boat with a new respect for these prehistoric creatures and a lot more aware of Crocodile safety, very handy if visiting anywhere in the top end of Australia where crocodiles are prevalent. 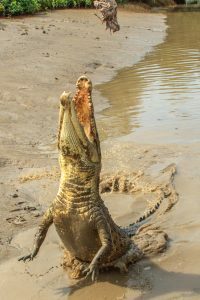 From crocodile infested waters, we headed to the lush Litchfield National Park to swim in some local waters ourselves. 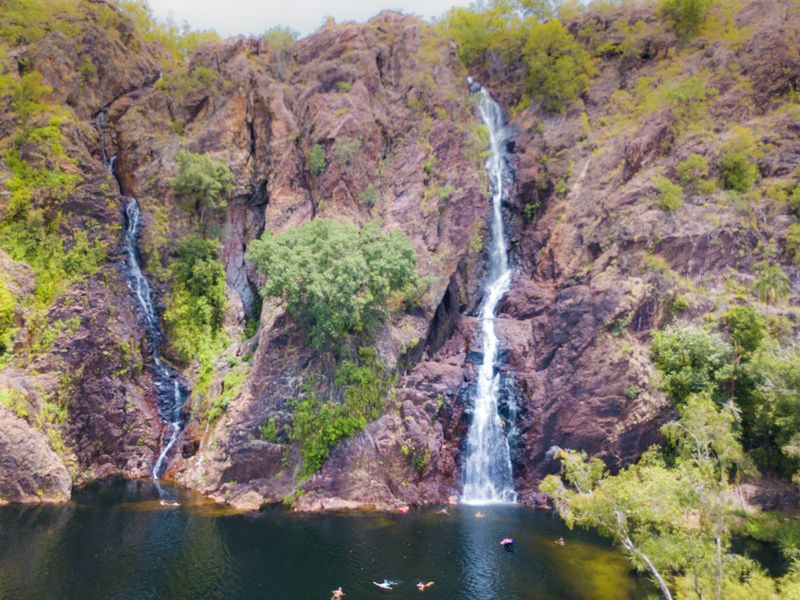 This is probably one of the most famous places to swim outside Darwin due to its spectacular waterfalls and watering holes and it’s relative close proximity to Darwin being around a 90 minute drive from town. 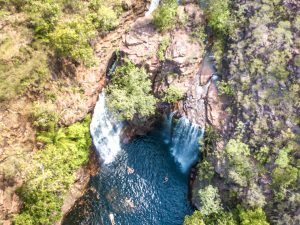 During the wet season, the waterfalls are at capacity and a spectacular sight by ground or even better, a helicopter flight over to give you full perspective. There is accommodation in the local township of Batchelor as well as camping facilities within the park for those with more time. There are plenty of spots to stop and explore in the 1500 square km park, with the most popular being Wangi Falls, Buley Rockhole and Florence Falls for a swim. Each of these locations also have picnic areas, one of which we enjoyed a lazy picnic lunch by the water. The cool temperatures of the waterfalls are a refreshing escape from the summer humidity and there’s nothing better than swimming out to the point where the waterfall joins the pool below and swimming in a rain shower made by nature. Whilst visiting Litchfield it may sound odd, however a stop at the magnetic Termite mounds within the Park are well worthwhile to marvel at these architectural wonders. Built north to south supposedly to reduce exposure to the sun, they are completely fascinating structures, rising up through the ground in mounds creating a field of structures that are both baffling and fascinating. There is also the Lost City, which is a fascinating collection of rock formations, however the road to get to this natural wonder is extremely hazardous and only accessibly by experienced 4 wheel drives. This wasn’t included on our particular tour, however a great stop if you are exploring on your own and have suitable experience. Due to the difficulty accessing this location, it’s name really does ring true and you feel like you are discovering long lost worlds. Last stop on our day tour is champagne and fresh prawns watching the sun set. It is the perfect ending to a long day and a great way to farewell new friends made from all over the world who shared the day with us. Sunsets in Darwin are some of the best in Australia with the sun setting in the west over the ocean, treating you to a huge ball of fire reflecting on the glassy water with some of the most incredible colors. The richness of the reds, oranges and yellows literally explode in the sky. 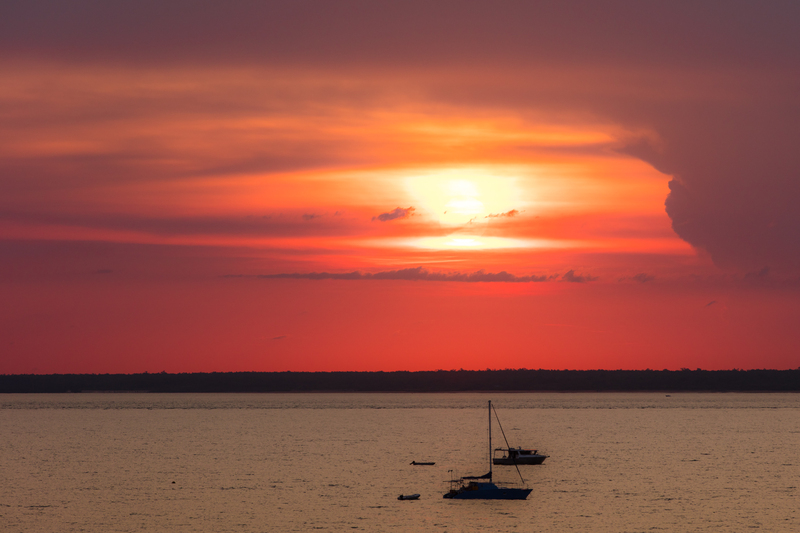 Essentially, the best places in Darwin to enjoy sunset are anywhere along the water starting from Sky City Casino. 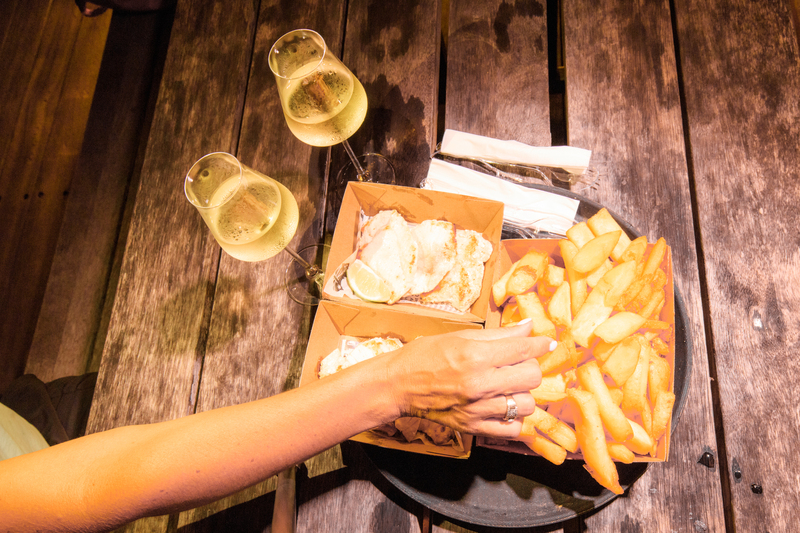 Next door is the Mindil Beach Markets held during the winter months from the end of April to the end of October, known mostly for it’s street style food stalls of diverse foods – anything from crocodile to kangaroo. 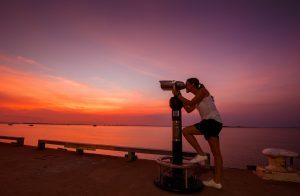 An absolutely must do when visiting Darwin. To really embrace this experience, arrive a little before sunset, wander the stalls and select an array of your favorite foods – make sure to try something new and then pull up a chair or blanket on the beach and watch the sun go down. 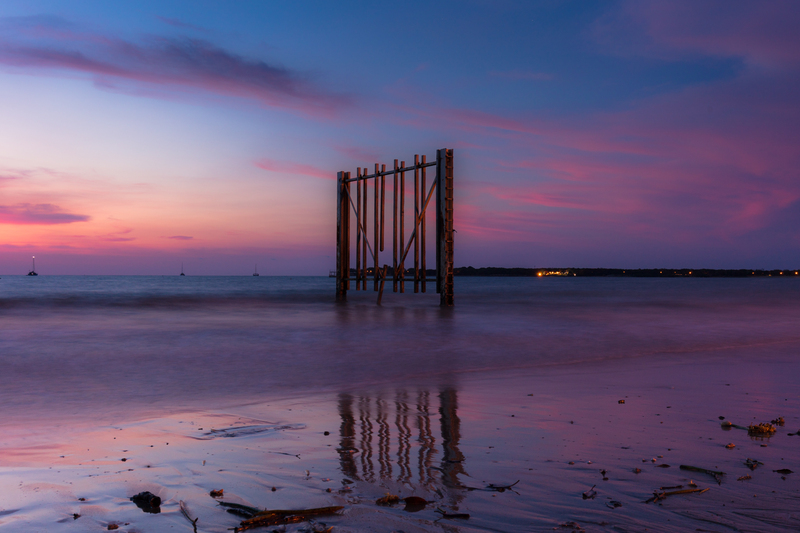 The Internet is filled with amazing shots from this beach and it’s almost an iconic Darwin picture. A little further north around the Bay is The Museum and Art Gallery of Northern Territory, The Darwin Sailing Club and the Fannie Bay Headland high up above the beach. 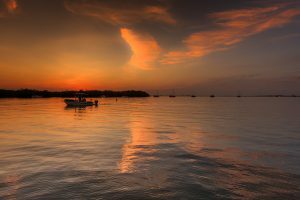 All of these locations boast the perfect location for sunset in the Top End with varying options for dinner. With the warm, humid weather in summer, at least one early start is a must. A walk around the Darwin Waterfront precinct and Stokes Hill Wharf gives the perfect aspect for sunrise. There is a whole new precinct with restaurants, bars and wave pool with man-made beach. It’s a really great addition to what was once a bit of a neglected area. 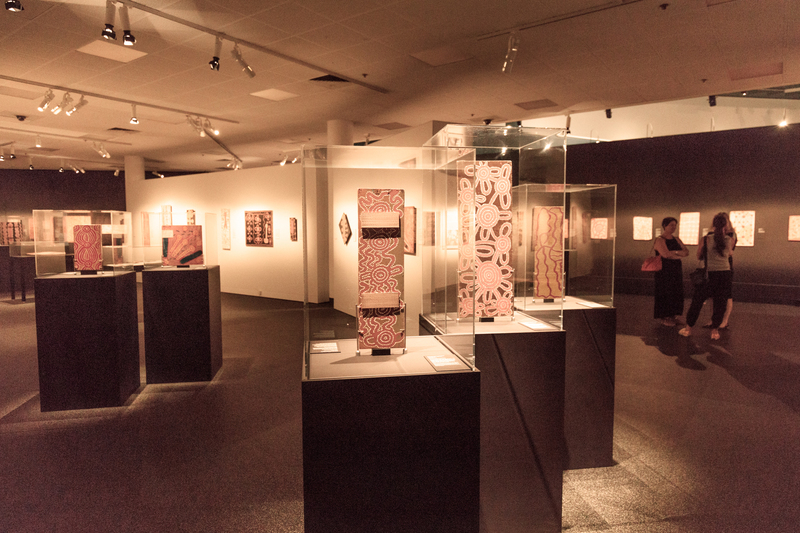 Final stop on the must do list whilst in Darwin is a visit to the Museum and Art Gallery of Northern Territory. 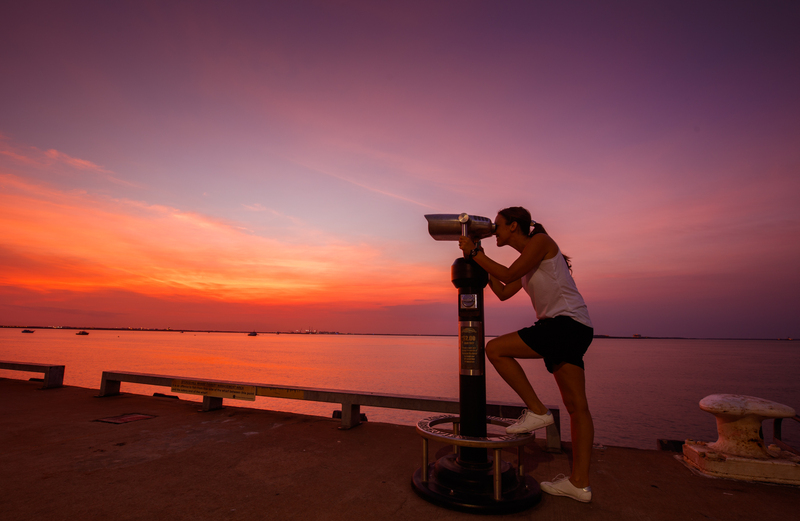 Located in beautiful buildings on the Bullocky Point Waterfront, entry is an optional gold coin donation, but inside the doors of this building, there is so much history and information about Darwin. There is a permanent Cyclone Tracey exhibition including a booth where you can experience the cyclone as it happened. 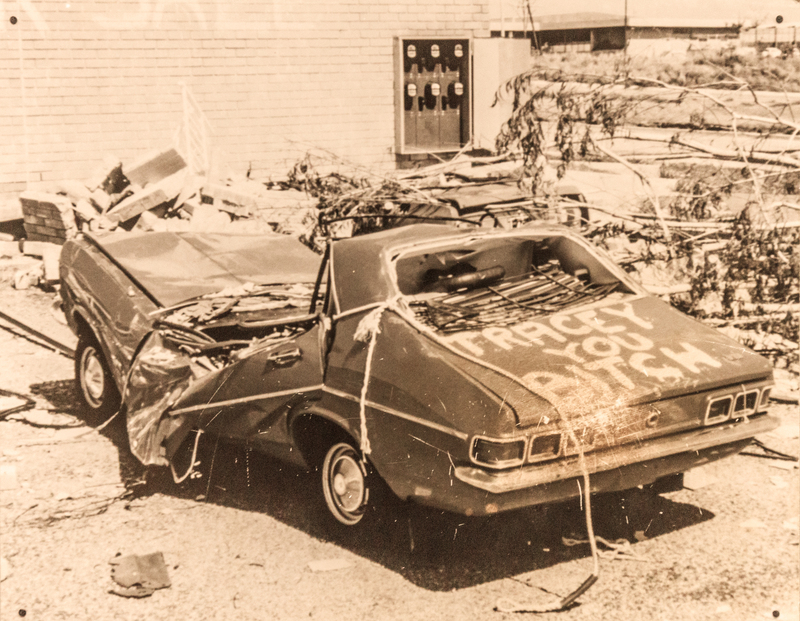 You step inside a dark room and are surrounded by the recording from the old church as the cyclone devastated outside its doors. It is so confronting, some people are unable to stay in there for the full recording. This is what locals at the time would have experienced, in complete darkness in the middle of the night. There are also many structures and artifacts from the cyclone, not forgetting pictures and information. If that’s not fascinating enough, other permanent exhibitions here are “Sweetheart” one of Darwin’s most notorious residents, a 5 meter croc, captured and killed in the 1970’s, indigenous art, natural sciences, WWII exhibition and a maritime gallery. There is currently a major exhibition showcasing the genesis of the contemporary Aboriginal art movement with many rare artifacts and Aboriginal art pieces. Although this exhibition ends in February 2018, there is always some sort of featured temporary exhibition in addition to the permanent displays. There is something about Darwin. There’s a spiritual, laid back element to the Top End. It’s not a big, commercial city. Rather than high-rise buildings and the hustle bustle of cities, you are surrounded by beautiful frangipani trees, national parks and the rich red dust of the natural earth. 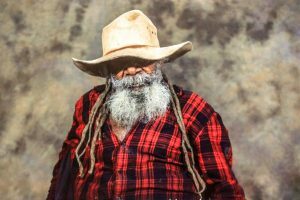 Learning about the culture and history of not only Darwin the town, but the outback by the friendly locals has a grounding effect on you. 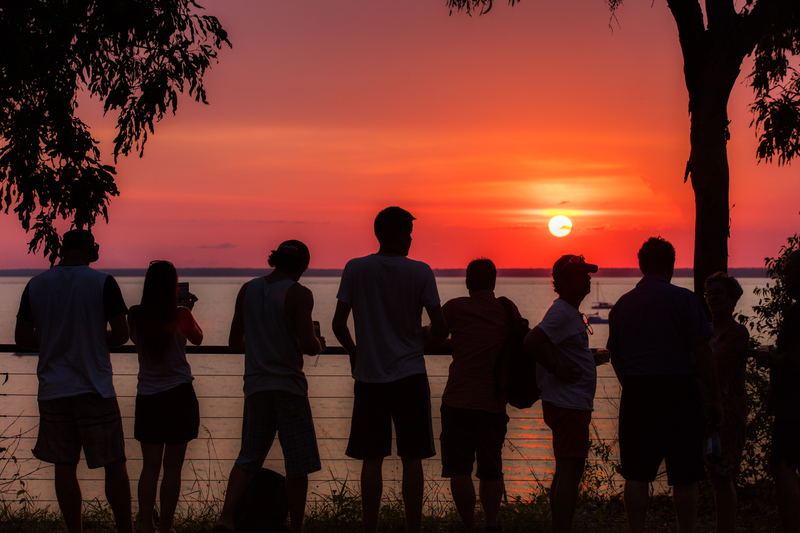 Darwin is rich in ancient traditions, breathtaking nature and indigenous culture that dates back thousands of years and you can immerse yourself in all of this, feel a part of it. The best part is, you can visit Darwin on any budget. Many of the best things to see and do in Darwin are free and accommodation ranges from backpacker hostels to 5 star luxury resorts. This is the heart of Australia, it’s history and culture and should be top of ‘ buck list.